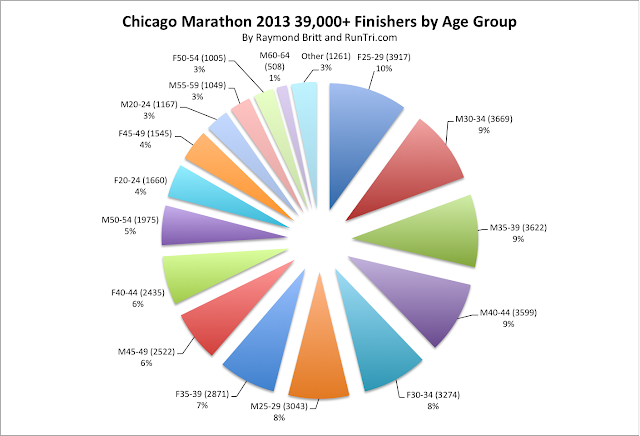 By Raymond Britt - Here's just about everything you want to know about running the Chicago Marathon. 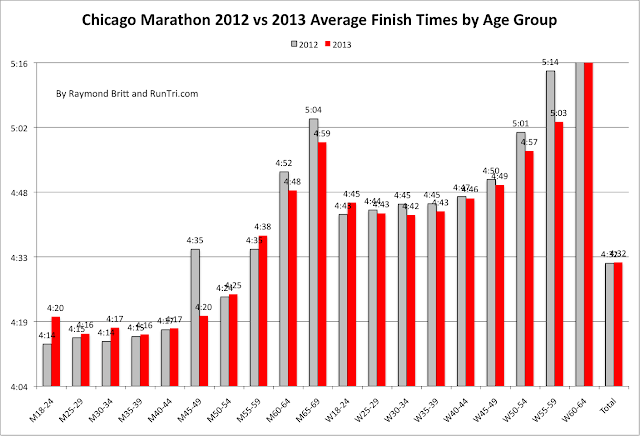 If you or someone you know plans to run Chicago, or has run it and wants to run better next time, you've come the the right place. I've raced in more than 100 marathons, triathlons and other endurance events around the world, and it's this simple: the Chicago Marathon is one of the best endurance events in the world. 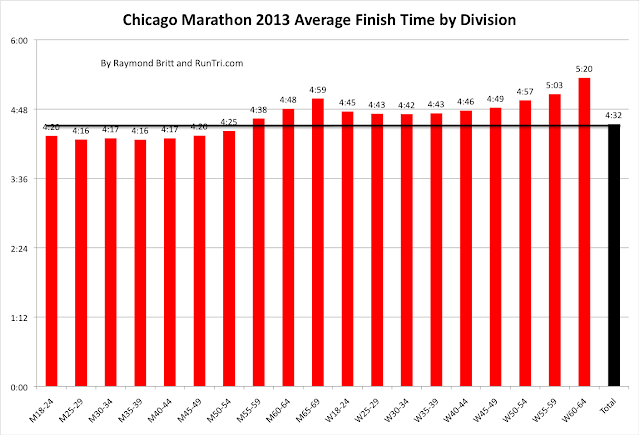 Here's just about everything you need to know about the Chicago Marathon -- from detailed 2015 Results Analysis to historical comparisons, impact of weather on race performance, comparisons between Chicago, Boston and New York Marathons, by age group, along with a full archive of race photos and more. Links to all of this content are contained throughout this very long post. 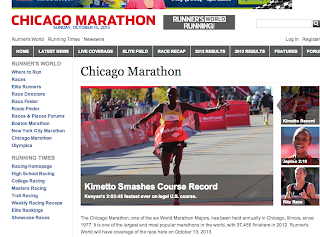 Images by Raymond Britt featured by Runner's World. 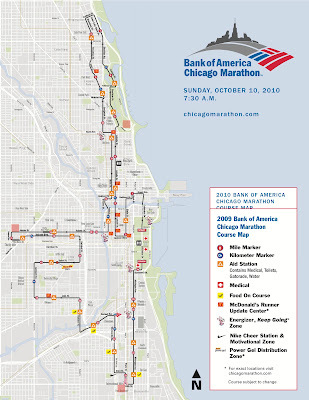 Each year Chicago welcomes nearly 40,000 inspiring runners -- from the world's best to complete novices -- who will start, discover, battle, and ultimately finish something they once thought impossible, even ridiculous: the Chicago Marathon , all 26 miles, 385 yards. At 7:30am (note new start time) on marathon Sunday, all will share one overall goal: run Chicago, finish Chicago, become a part of a 106 year-old tradition of the greatest race in the world. To make that goal a reality, here's what you need to know. Your first starting gun, of sorts, begins with your alarm clock on race morning. With a record number of participants all headed toward Grant Park at about the same time, there will be traffic congestion. The last thing you want to do on race morning is panic about getting a parking spot, or find yourself without enough time to get ready to run. I’d suggest trying to get downtown by 6am. The weather on race day has varied widely in the last decade, from temperatures in the low 30s at the start to sunny 70 degree warmth. Dress for the conditions. Keep it simple; plan to run in clothes you would wear if it were a training day. But you can also dress with the option to make changes, so to speak, on the fly. If it’s expected to be chilly at the start, consider wearing an old sweatshirt over your running clothes, with an expectation you’ll toss it a few miles into the run. If the cold is expected to hold all morning, consider running in a jacket or vest to keep your torso warm. Cotton gloves and a hat can make the course more comfortable, too. At least two hours before the race, I like to eat about 600 calories, typically a bagel, banana, and energy bar. You coffee drinkers will also want to load up with a little eye-opening caffeine. If you expect you might experience cramps during the race, consider taking a salt pill. And, of course, begin sipping water or sports drink when you wake up. Then I try to limit fluids in the hour before the race, to minimize the need for, shall we say, pit stops on the course. My rules of thumb for race nutrition and hydration on the course: drink something every two miles, and take in 100 calories (I use GU) every 4 miles. This approach can be a Wall Buster, it keeps me hydrated and relatively energized through those tough miles, to the finish. One of the fun aspects of the Chicago course is that there are so many places that friends and loved ones can watch all the runners and cheer for you. Knowing they are at certain spots on the course make it easier to get through the miles. But you need to pick smart meeting points, where there are likely to be few others, in order to find each other and enjoy those moments together. For example, I can tell many runners plan to meet at obvious spots, such as Addison and Broadway in Wrigleyville, or Franklin and Adams in the loop. The problem is, several thousand people make similar plans with their friends and relatives, and when they get there, it’s completely impossible to find anyone they’re looking for. The crowds at those spots are huge and inspiring, it’s just not the best place to meet. Instead, pick meeting locations a few blocks in either direction away from those popular spots. Be clear about the meeting spot, such as southwest corner, in front of the ABC building. It also helps to try to provide a time range when you think you’ll be there. 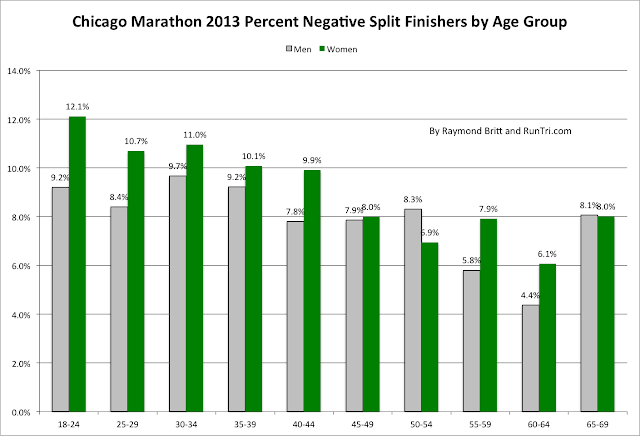 When 40,000 runners begin to move toward the starting line on Grant Park, things will slow down fast. Marathon organizers do a nice job of directing traffic and getting runners in the right starting areas (designated by bib color and number), but the process may take much longer than you think. Assuming you’re waiting within a half mile of the starting area, move toward the starting line no later than 6:30am. Soon enough you’ll be standing side-by-side with runners from all over the world, in at atmosphere made up of excitement, anticipation, anxiousness, a little fear, and a lot of natural adrenaline. As the clock ticks closer to the 8am start time, look around you. Smile and greet the runners near you. Ask where they’re from. Ask what kind of day they are expecting on the course. Pat them on the back and wish them luck. It’s good karma and part of sharing the experience with the running community. You may be running by yourself out there, but those near you will be carrying you, a little. Before you know it, the starting gun will fire, and the race will begin. Though that may be more literally true for you if you are near the end of the pack of 40,000 runners. For those at the back, the clock will pass 8am and you might not move for awhile. That’s the nature of pushing tens of thousands of people down a 6-lane road all at once. Even for those at the front, the congestion will resemble the Kennedy Expressway at rush hour on a holiday weekend. For nearly everyone except the elites and the really competitive runners at the front, starting this marathon really means walking a few steps, then trotting until things spread out a little, transitioning to a jog as you learn to navigate in the small box you occupy within surrounding runners. Within one-third of a mile, the pack of runners will spread out ever-so-slightly, at least enough so that you can begin to run freely. Then the fun begins. With Millenium Park on your left, you’ll run under the Randolph Street Overpass, which will be lined with screaming spectators and a few TV cameras. Look up, smile and wave. Then you’ll disappear on lower Columbus Ave for about ¼ mile heading toward the Chicago River. You’ll know what to do when you get to this tunnel-like area: whoop it up! Everyone around you will be doing it, and it’s just one of the early part of a race experience you’ll never forget. Get into a steady groove, and enjoy, for lack of a better word, the first 13 miles that will take you through Lincoln Park, Wrigleyville, Old Town, River North and The Loop. You will feel good, and if you’ve been training, it will feel relatively easy. Remember to drink water or Gatorade every two miles or so, and try to get 100 calories every 4 miles. When you enter The Loop on your 13th mile, you’ll feel like you’re in the middle of a parade. Thousands of spectators will be cheering for you and everyone around you. It’s a great spectacle; soak it in, enjoy it. Because the course may begin to push back on you soon. Leaving the noise and excitement of The Loop and disappearing west onto relatively quiet roads brings a stark reality: you’re only halfway there, and the finish is still a long way away. That’s when your legs are wearing down, and when you let your mental training take over. Those long runs weren’t just for your body; they also prepared you to have the will and the spirit to take you the extra mile and then some. On your race day, draw on those training experiences, keep moving, keep steady, keep yourself in the game. Break things up by looking forward to passing more of Chicago’s distinctive neighborhoods: Little Italy at mile 17; Pilsen at mile 19; Chinatown after mile 21. 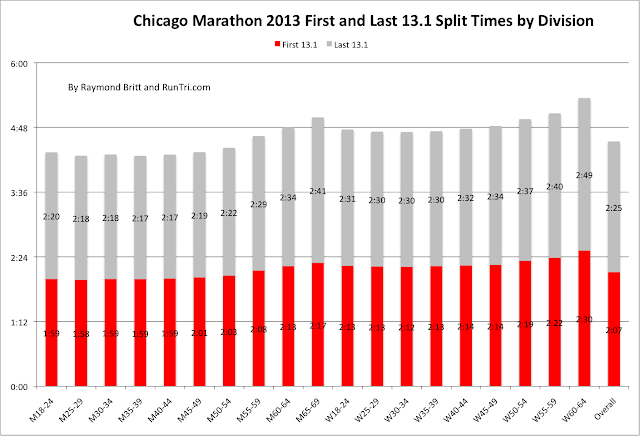 Then look forward to reaching White Sox Park after mile 22. The ballpark has always been a positive landmark for me. It’s deep into the race, but it also represents the turning point, in more ways then one. Literally, once you see the ballpark, you’ll take a left turn on 33rd to begin the approach to the finish line. And figuratively, that turn can signal a turn inside, toward the excitement of a pending finish. Those long miles are behind you. The finish line gets closer with each step. So does your dream. The elites will cross the finish line starting at about 10:06am. The rest of us will reach the finish line, with outstretched arms and pride, for the next several hours. 40,000 finishers. 40,000 experiences. 40,000 reasons to be proud we live in a city that hosts this world class event. And a specific reason for you to be proud: you did it. 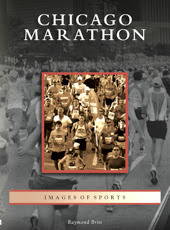 Running a marathon was once one of those things you though was impossible. Remember? Well, it’s possible. You did it.